If you are an experienced real estate professional, Realty Executives - Hedges Real Estate will feel like home for you! If you sell five or more properties a year, our program is probably better for you. Read on to Experience Excellence! We have a variety of commission split options available ranging from a 65% split up to a 100% split to the agent with monthly fees ranging from $99 to $499 depending on the program you decide best fits your needs. Mention this website to get up to 6 months with no monthly fees. We'll sit down with you and go through the potential income and expenses. Your first sale usually covers your start up costs and then you can start making good money from there on, depending on your activity. It is simply a good financial & business decision to choose HEDGES - REALTY EXECUTIVES. 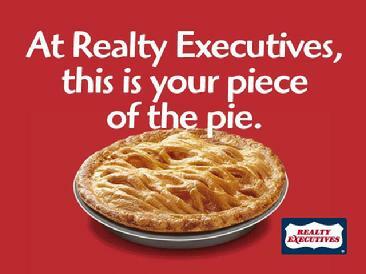 Please call Bryan Hedges at 785-766-9383 to schedule a time to meet to discuss the career opportunities with Realty Executives - Hedges Real Estate. 65% Commission Split to Agent! 35% split to the agency! No franchise fee % taken from your commissions. All documents are online for you to use from anywhere 24/7. Realty Executives Verizon cell phone users get 15% off monthly. Our office at 1037 Vermont St. has 5 conference rooms to use. We have a West Lawrence conference room on Clinton Parkway. Our website promotes you and directs leads to you. You get a website when you join us. Website includes all IDX listings with your name & #. We transfer calls to you. Other agents don't take your leads. Productive agents to help you sell your listings! Many listings for you to show, hold open houses and sell. We are usually ranked at the top in Google and other search engines! We offer you the freedom to run your business. We encourage you to promote yourself. Our signs feature your name and phone number. If you sell 4 or more properties a year, you earn more with us. Optional Free Training and Mentoring Program. Please call any of our current Realtors to find they love our programs! Pay Transaction Fees of only a Few Hundred Dollars per Sale. CRS and GRI Realtors get monthly $ credits! Be Part of a Team of Full-Time, Experienced Salespeople! Sales Meetings Only 4 times a year - Saves you 100+ hours a year! Build Your Investments & Save For Your Retirement, not your Broker's! Read on or Call Bryan Hedges at 785-766-9383 for confidential discussion. 75% Commission Split to Agent! 25% split to the agency! 100% Commission Split to Agent! No split to the agency! All pending sales files are online for you to use anywhere 24/7. Please call any of our current Executives to find they love our programs! No Monthly Fee For Six Months, then Monthly Fees about $499. ABR, CRS, GRI, E-Pro, and Associate Brokers get monthly $ credits! Sales Meetings Only Once a Month - Saves you 100+ hours a year! Do you sell $2 Million or more a year? Ask us about our program that can limit what you pay the agency to as low as $12,000 to $14,000 while you keep the rest. Call Bryan at (785) 766-9383. We offer extensive training on a continuous basis including regular training events in our office and hundreds of training videos viewable online as a service to our Realtors. Click here for a sample of some of those videos. LOWER FEES FOR AGENTS WITH DESIGNATIONS SUCH AS ABR, CRS, and GRI. Our Agents Get the Whole Commission! 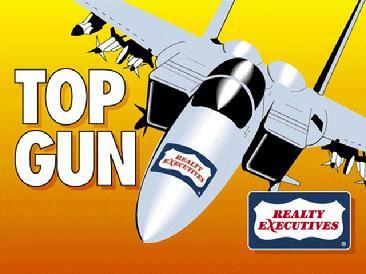 REALTY EXECUTIVES - Hedges Real Estate Inc. Helping People Experience Excellence in Real Estate in Lawrence & Northeast Kansas Since 1972.